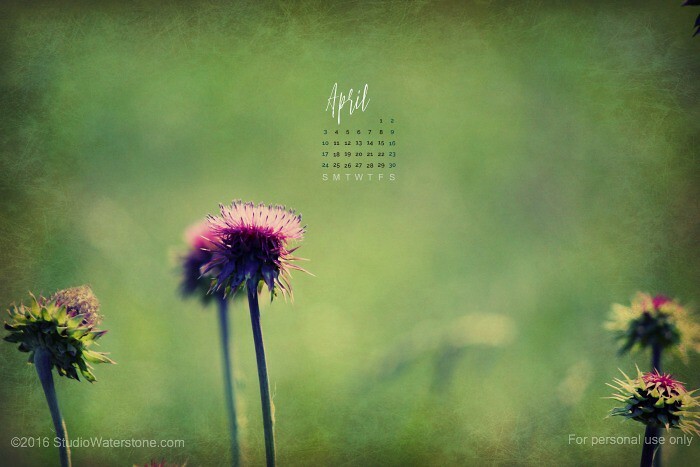 Studio Waterstone | Lori Plyler Art: April's Desktop is Here! I know. It's gosh awful ridiculous late. But I've been gosh awful ridiculous busy and just got around to changing my desktop yesterday! I used a picture I took some time back and edited with beautifully grungy overlays. Just click on the image to download your desktop, if you so choose. And whatever you do, have a lovely day. I was using another one until I saw this one and I had to have it because I adore wildflowers. Thank you! You are very welcome, Lee Ann. Enjoy!